NEW YORK (AP) — Facebook is forging ahead with its messaging app for kids, despite child experts who have pressed the company to shut it down and others who question Facebook's financial support of some advisers who approved of the app. Messenger Kids lets kids under 13 chat with friends and family. It displays no ads and lets parents approve who their children message. But critics say it serves to lure kids into harmful social media use and to hook young people on Facebook as it tries to compete with Snapchat or its own Instagram app. They say kids shouldn't be on such apps at all — although they often are. "It is disturbing that Facebook, in the face of widespread concern, is aggressively marketing Messenger Kids to even more children," the Campaign For a Commercial-Free Childhood said in a statement this week. But a Wired report this week pointed out that more than half of this safety advisory board had financial ties to the company. Facebook confirmed this and said it hasn't hidden donations to these individuals and groups — although it hasn't publicized them, either. Facebook's donations to groups like the National PTA (the official name for the Parent Teacher Association) typically covered logistics costs or sponsored activities like anti-bullying programs or events such as parent roundtables. One advisory group, the Family Online Safety Institute, has a Facebook executive on its board, along with execs from Disney, Comcast and Google. 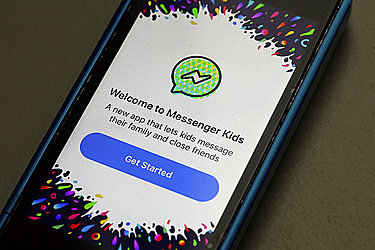 "We sometimes provide funding to cover programmatic or logistics expenses, to make sure our work together can have the most impact," Facebook said in a statement, adding that many of the organizations and people who advised on Messenger Kids do not receive financial support of any kind. But for a company under pressure from many sides — Congress, regulators, advocates for online privacy and mental health — even the appearance of impropriety can hurt. Facebook didn't invite prominent critics, such as the nonprofit Common Sense Media, to advise it on Messenger Kids until the process was nearly over. Facebook would not comment publicly on why it didn't include Common Sense earlier in the process. "Because they know we opposed their position," said James Steyer, the CEO of Common Sense. The group's stance is that Facebook never should have released a product aimed at kids. "They know very well our positon with Messenger Kids." A few weeks after Messenger Kids launched, nearly 100 outside experts banded together to urge Facebook to shut down the app , which it has not done. The company says it is "committed to building better products for families, including Messenger Kids. That means listening to parents and experts, including our critics." One of Facebook's experts contested the notion that company advisers were in Facebook's pocket. Lewis Bernstein, now a paid Facebook consultant who worked for Sesame Workshop (the nonprofit behind "Sesame Street") in various capacities over three decades, said the Wired article "unfairly" accused him and his colleagues for accepting travel expenses to Facebook seminars. Bernstein, who doesn't see technology as "inherently dangerous," suggested that Facebook critics like Common Sense are also tainted by accepting $50 million in donated air time for a campaign warning about the dangers of technology addiction. Among those air-time donors are Comcast and AT&T's DirecTV. But Common Sense spokeswoman Corbie Kiernan called that figure a "misrepresentation" that got picked up by news outlets. She said Common Sense has public service announcement commitments "from partners such as Comcast and DirectTV" that has been valued at $50 million. The group has used that time in other campaigns in addition to its current "Truth About Tech" effort, which it's launching with a group of ex-Google and Facebook employees and their newly formed Center for Humane Technology.